SolSource Sport; cook anywhere under the sun. 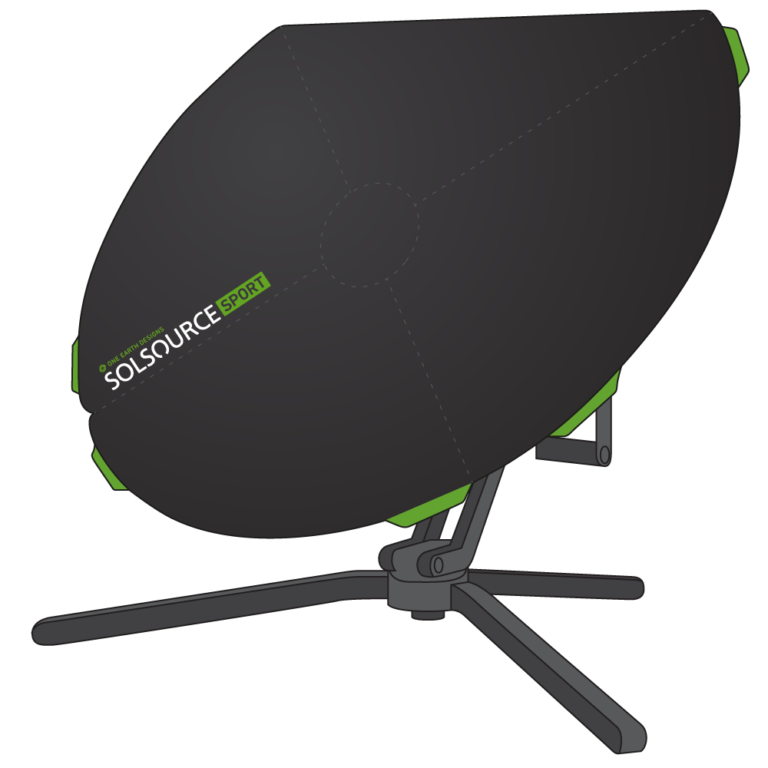 SolSource is currently the market leader for high quality parabolic solar cookers! World class high quality coupled with easy mobility no maintenance have set the SolSource Parabolic Solar Cookers at the top of their class! This cooker is easy to carry, quick to assemble, and heats up in seconds for high-performance on-the-go solar cooking. 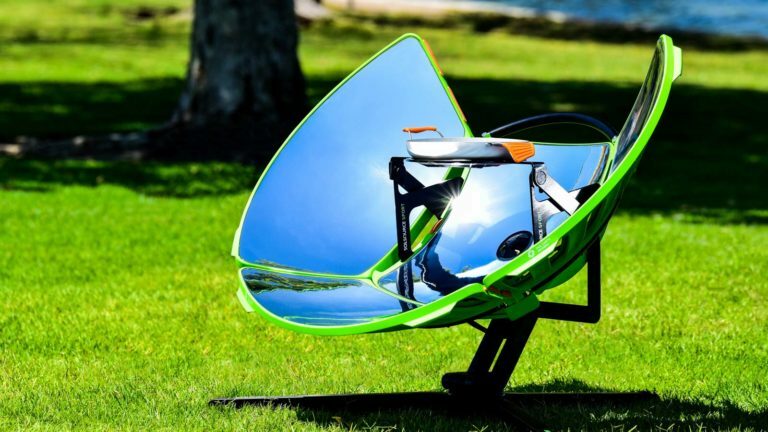 The SolSource Sport is the result of five+ years and generations of prototypes, design engineering and incorporation of the best features of the leading solar parabolic cookers from around the world. No other company has produced a comparable parabolic solar cooker that is so versatile and user friendly. Just point it at the sun and start cooking. Inspired by the problem of indoor pollution from household stoves, a problem faced by many rural families in China, SolSource was developed in collaboration with Himalayan families in China. Five years and thirteen prototype generations later, SolSource started providing hundreds of rural families with cleaner air in their homes, reducing their fuel gathering time and energy costs. 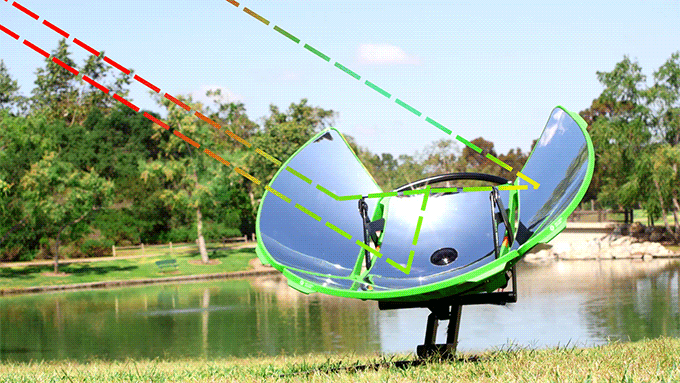 Note: CantinaWest has not yet tested this 2nd generation SolSource Parabolic Solar Cooker. Until such point as we have a chance to test it, the information below is based on claims by the manufacturer and our experience with similar the SolSource Classic and the similar characteristics it shares with the SolSource Sport. On sunny days, reaches 400°F / 200°C, generates 600 Watts, and heats up 5x faster than charcoal. So you can boil water, pan fry eggs and sausages, make oatmeal and other light meals in 10-15 minutes. However, it does not generate heat quite as high as the SolSource Classic. Pot stand/receptacle can support most kettles, pots and grill plates. Can be used to grill, steam, bake, boil or fry. It weighs only 10lb and fits in a small bag (24 inches x 17.25 inches). * The SolSource Sport Protective Cover is designed specifically to protect the SolSource from precipitation, dust, and debris. In addition, the Cover allows you to leave your SolSource outside, rain or shine, without needing to turn it away from the sun or partly dismantle it for storage. Waterproof and flame retardant, the Cover features a flap to wrap around the user area to ensure it does not blow away in strong winds. Included with the cooker. Not included with the cooker. Regular retail $62.87. 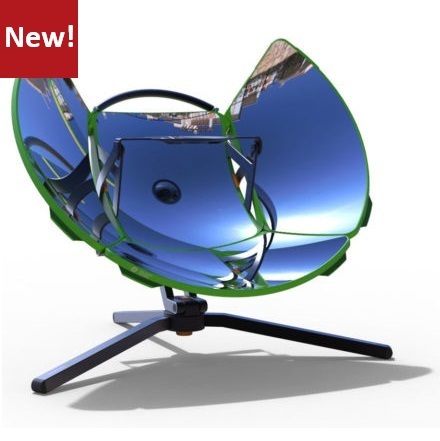 CantinaWest has not yet tested this 2nd generation SolSource Parabolic Solar Cooker. 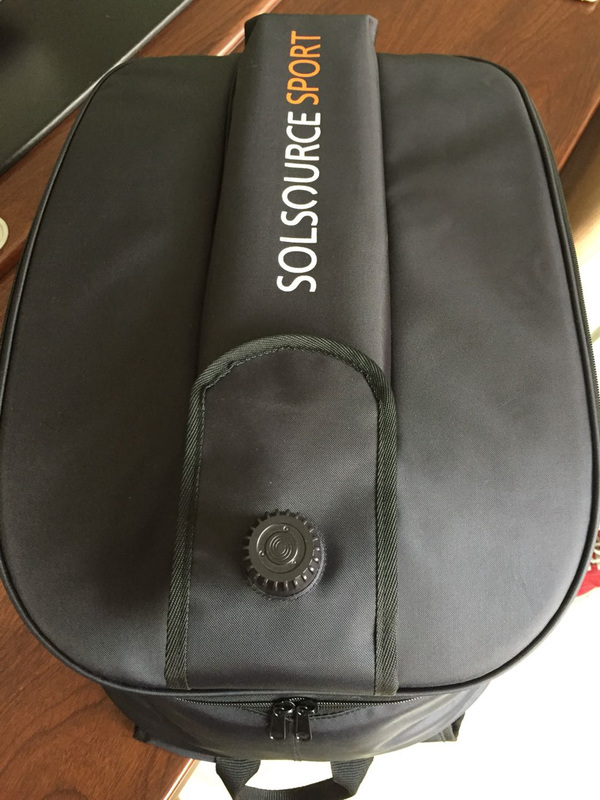 Until such point as we have a chance to test it, the information on this page is based on claims by the manufacturer and our experience with the SolSource Classic and the similar characteristics it shares with the SolSource Sport. We have found the Solsource to be very easy to assemble and disassemble due to the great design and machining involved in the manufacture of the materials and parts. You can actually assemble this cooker with no tools, that is how well the machined parts, pieces go together. We even find the SolSource Sport easier to assemble and disassemble than it is to assemble the French Made Cookup200, quite a bit faster. The SolSource Sport in its disassembled state is very compact, probably the most compact of the commercial parabolic cookers currently available on the market. Compact enough to fit inside of a small carrying bag (24 inches x 17.25 inches).